over 17 years of experience, and I specialize in the release of insertions, origins and attachment sites. 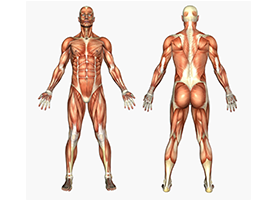 Therefore the bones are able to move freely again resulting in pain relief. 55 Minute and 80 Minute Massage Available! PLEASE NOTE THAT IF I AM WITH CLIENTS I MAY NOT BE ABLE TO RETURN MESSAGES TILL THE END OF THE WORK DAY, BUT ALL MESSAGES WILL BE RETURNED. THANK YOU FOR YOUR UNDERSTANDING. I specialize in medical massage for back and neck injuries, tight muscles and skeletal release. Have a massage by the fireside and waterfall surrounded by beautiful music. Once a client, always a client! At Star Avenue Massage, I would like to use my knowledge and expertise to answer any questions you might have about the benefits of therapeutic massage. I can show you the best ways to incorporate those benefits into your daily routine. Massage can, and should, be an important part of a healthy and well-rounded lifestyle. Star Avenue Massage is here for you. Daily life can be stressful. Routine stressors can include work, friends, and family. In today’s world, even our vacation time can be stressful! Star Avenue Massage is dedicated to offering the services you require, and for as often as you want or need them, so that you can create a healthy, relaxed, pain-free, and balanced life. Star Avenue Massage is here to provide clients in the Littleton, CO area a reprieve from the hustle and bustle of daily life, to let you take a much needed and well-deserved break. You can clear your mind of clutter, recharge your batteries, and connect with yourself for a change. I want to help you relax and revel in the journey to the healthy lifestyle you deserve. A therapeutic massage from Star Avenue Massage shows that you are taking an active role in your own health and wellness - a 'maintenance plan' that benefits you in the short and long term! While it is true that therapeutic massage improves overall well-being, it also has many other health benefits. At Star Avenue Massage, I offer a wide range of trusted and proven therapies and techniques that can improve, enhance, relax, and relieve your entire body, mind, and spirit! Schedule an appointment with me today, to begin your journey to health and wellness.